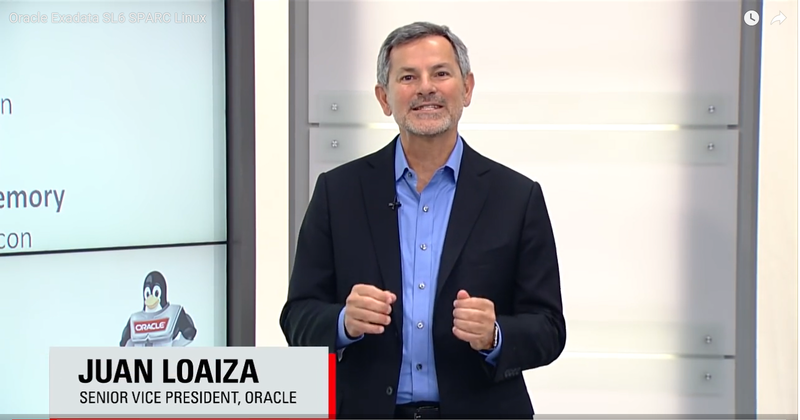 Network Management: Oracle Linux on SPARC Arrives! Sun Microsystems had long hosted multiple processors in their workstation and server platforms, dating back Motorola 68000, Intel x86, SPARC, and re-introducing Intel again. 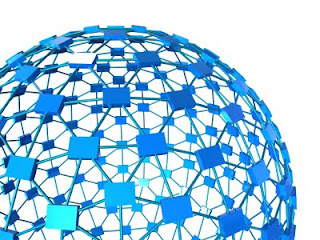 Sun had mostly run SunOS, rebranding as Solaris with the investment of AT&T SVR4, and occasionally running multiple OS derivatives under various appliances. Today, Oracle is bringing Oracle Linux is becoming as an official supported platform under SPARC. 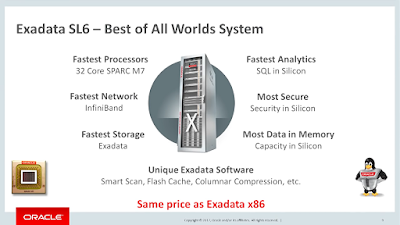 Linux is supported on a new SPARC Exadata platform. There were two presentation covered. 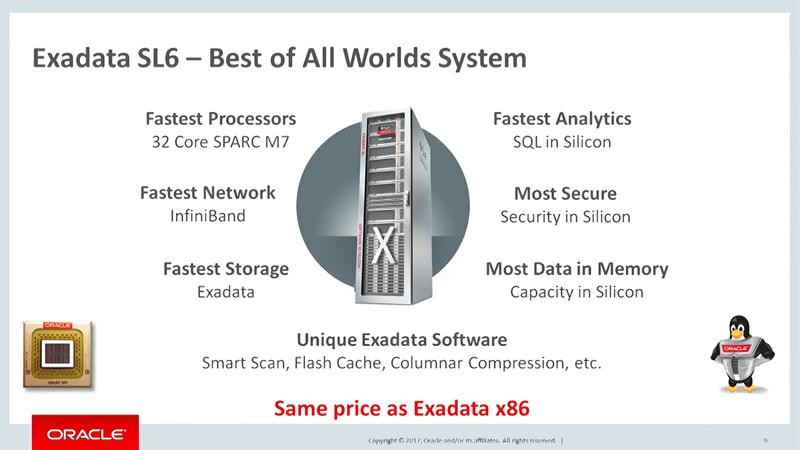 The worlds fastest General Processor with Software in Silicon breakthroughs. 32 Database Accelerators added on the M7 Silicon are available under Linux. 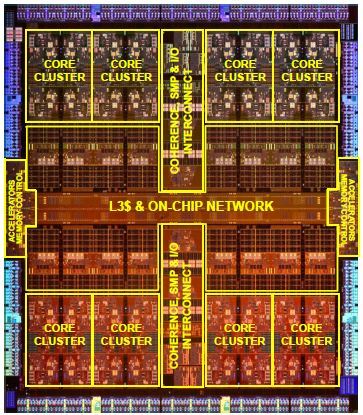 32 Decompression Engines added on the M7 Silicon are available under Linux. Buffer Overflow Attacks eliminated under Linux. 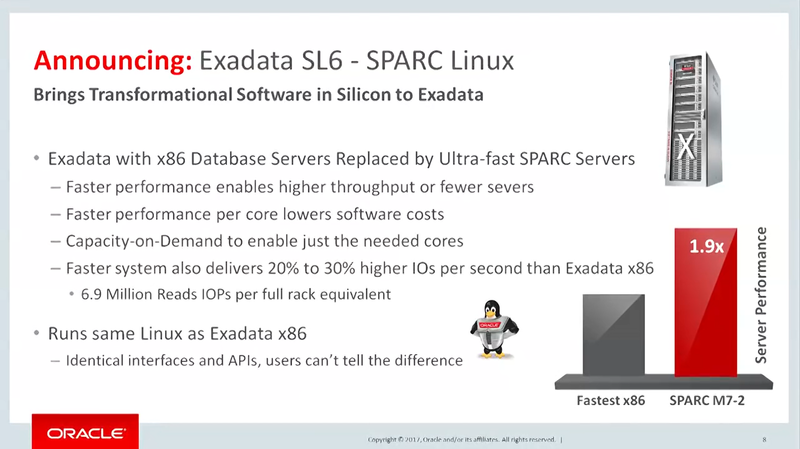 With the Exadata SPARC Linux platform, the slower Intel nodes are replaced with a higher speed SPARC node. The cost is the same. 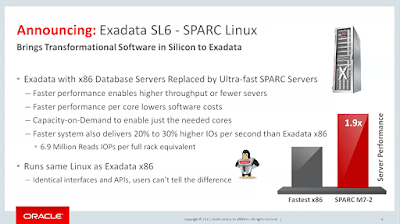 Oracle not only offers the fastest databases, SPARC as the fastest General Purpose CPU, and now a popular Linux Operating System to supplement the Solaris Operating System.